The Path | Just Shooting Memories! 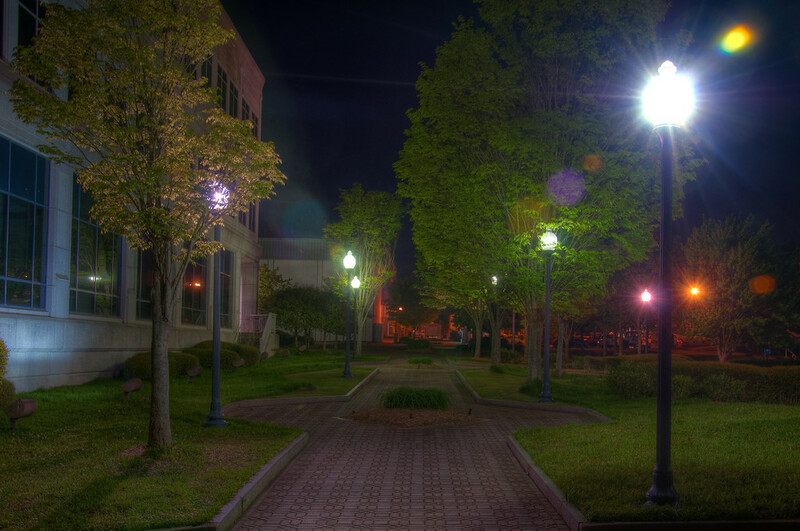 I love night photography. There is just something magical about being able to take a scene that appears to be almost dark. Too dark to get a good shot of it and then setting a long exposure and seeing something really cool as the result. When there are bright lights turned on and areas that are not lit and being able to take a photo that makes the entire scene visible through the photo. I was able to get this one after one of the First Friday ventures in Canton. In fact, this shot was taken just after The Lonely Bench.